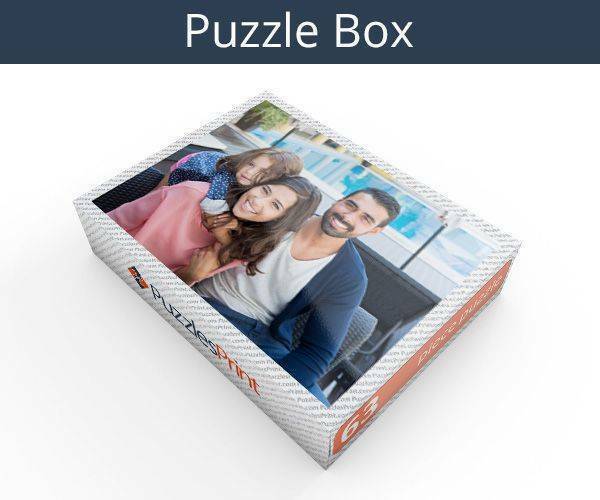 You can make a 63 piece jigsaw puzzle with any picture of your choice. 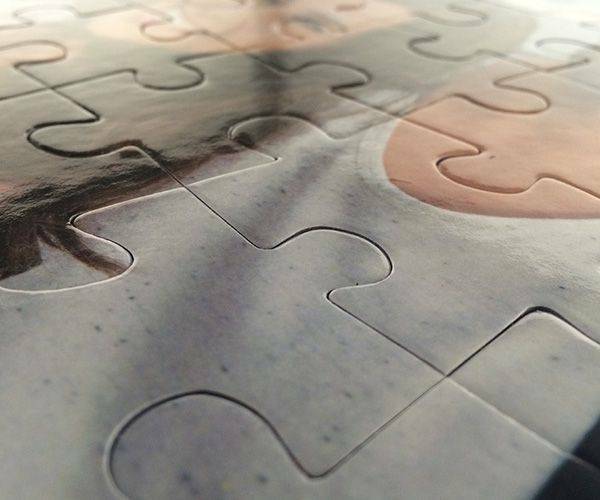 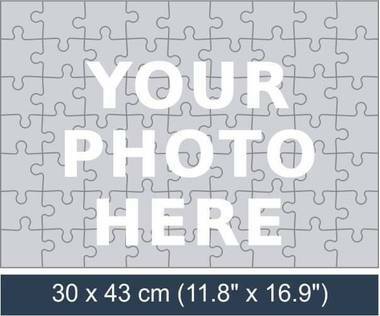 You can customize it with any sort of design, photo or artwork and you will be able to see a clear preview of the jigsaw puzzle see how it will look. You can also add a text message with the image. 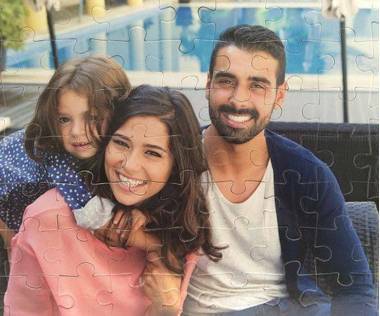 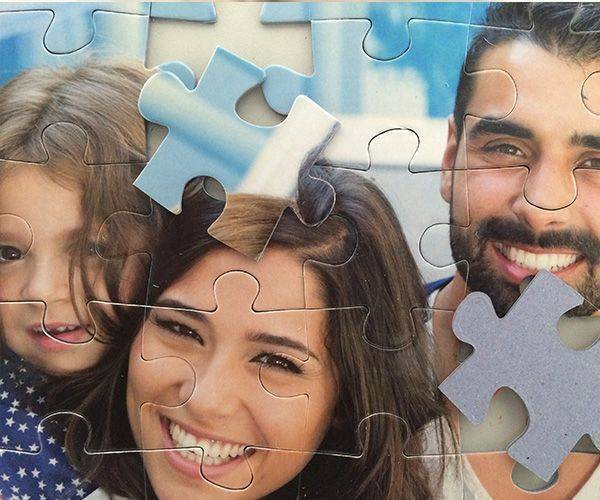 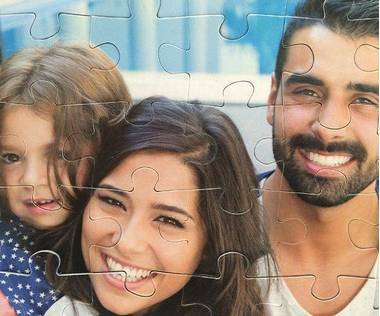 This 63 pieces personalized photo puzzle is a great photo gift for any occasion. Many of our customers choose to use this jigsaw to make a guest book puzzle for their wedding.